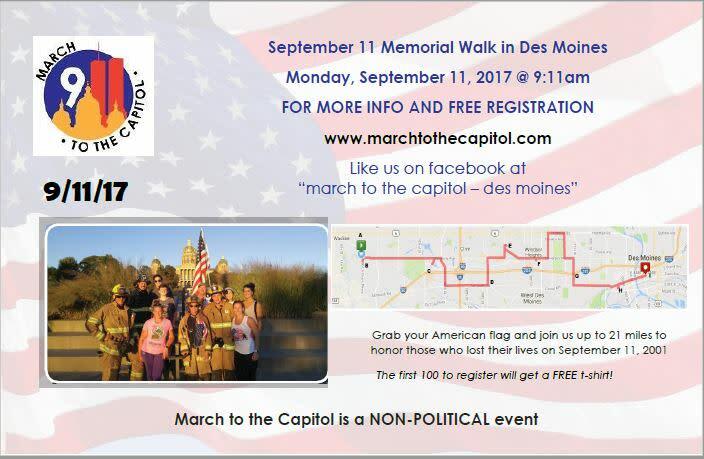 A new way for Des Moines to remember 9/11! 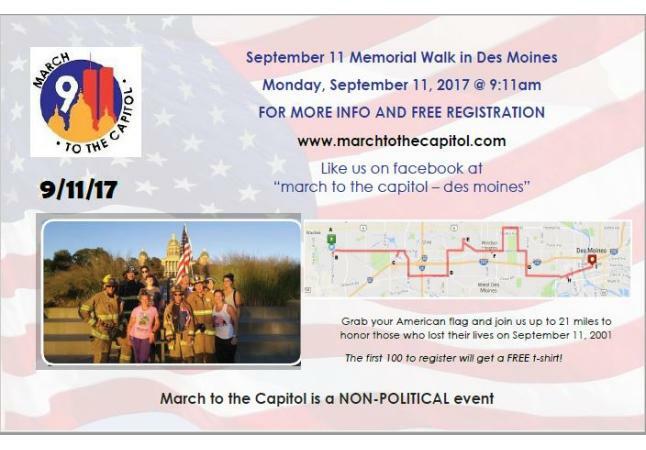 Please grab your American flag and walk with us up to 21 miles. We start at Centennial Park and end up at the State Capitol, making 7 rest stops at fire houses along our way. We are giving FREE t-shirts to the 1st 100 who register. There are about 60 left as of 8/30. If you can't walk all 21, please meet up with us at a rest stop. Please see the website for route and info. 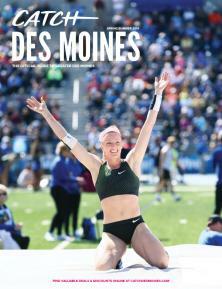 Like us on facebook at "March to the Capitol - Des Moines"